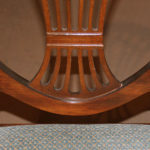 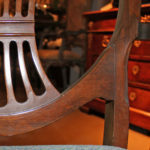 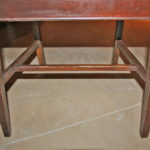 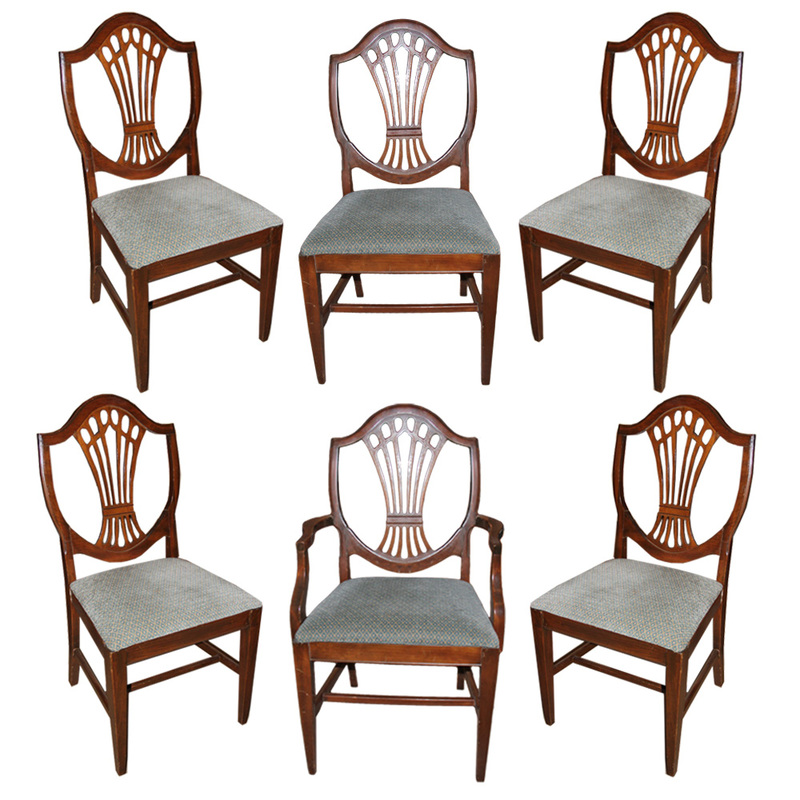 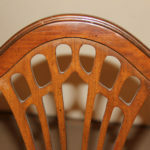 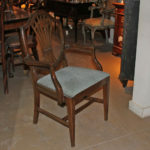 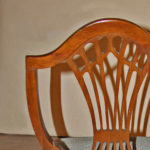 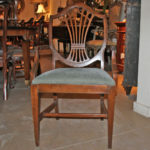 A Set of Six Late 18th Century Mahogany English Chairs No. 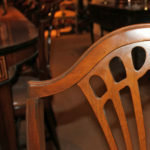 4547 - C. Mariani Antiques, Restoration & Custom, San Francisco, CA. 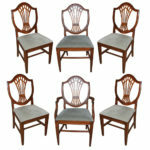 Side Chairs: Height: 38 1/4"; Width: 19"; Depth: 20 1/4"; Armchair: Height: 39 1/8"; Width: 24"; Depth: 21 3/4"